Kevan Jon Colt knee dress. Another stunning dress from the talented designer Kevan Jon. 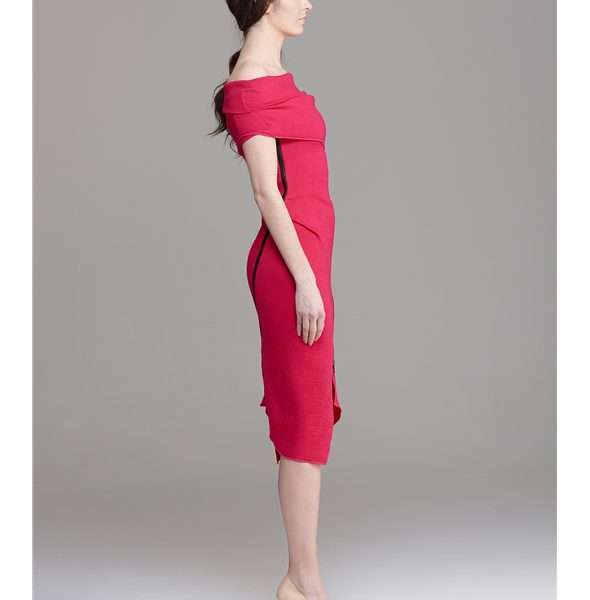 The Colt dress oozes versatility with its many styling options – off the shoulder, one shoulder, no shoulders! The Colt dress has is made from a soft crepe ribbed fabric and features exposed zips that contour the figure front and back. With its versatility and style appeal this dress will take you to many occasions, weddings and celebration events whatever way you style it. Available in fuchsia (pink) and navy.